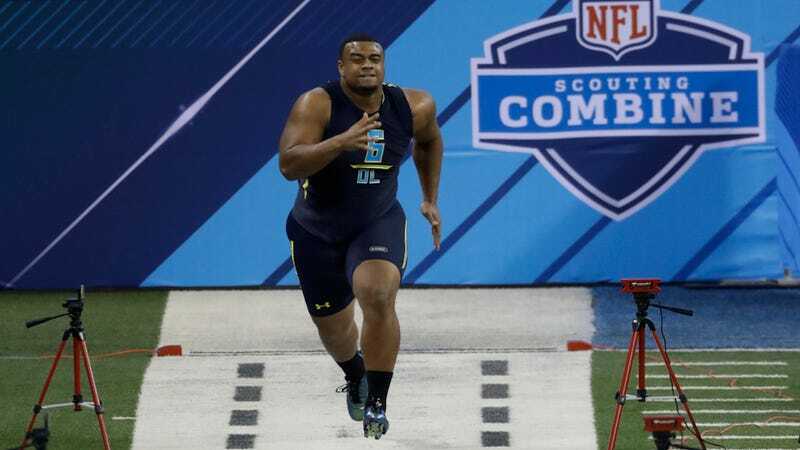 The Browns took Florida defensive tackle Caleb Brantley with the first pick of the sixth round, seemingly overlooking his recent misdemeanor battery charge for striking a woman outside a bar earlier this month. Almost immediately after drafting him, however, the team announced that they may have changed their mind. Browns executive vice president Sashi Brown told the NFL Network that the charge was “concerning,” noting it “may not be something we can get comfortable with.” Deciding not to keep Brantley seems to be an option under consideration for the team, though they reportedly met with him before making the pick and did research of their own into the battery charge. Brantley was originally projected to go in the second or third round, but that quickly changed once news broke that he’d been charged. The police report from the incident notes that Brantley’s “use of force was clearly out of retaliation and not self-defense” and that the woman needed dental work to repair a displaced tooth as a result. Jaguars&apos; GM On Dede Westbrook&apos;s Two Domestic Violence Arrests: "Many Of Us Have Been Accused Of Things"